The Dept. 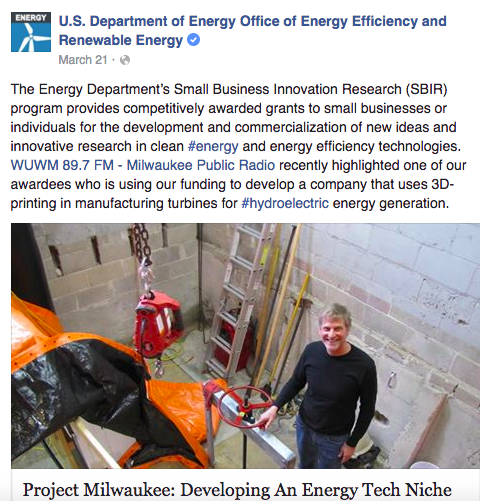 of Energy, Water Power, shared our story produced by Milwaukee Public Radio on their Facebook page. E-Motors Consulting, UW-Milwaukee and Cadens recommended for DOE award!